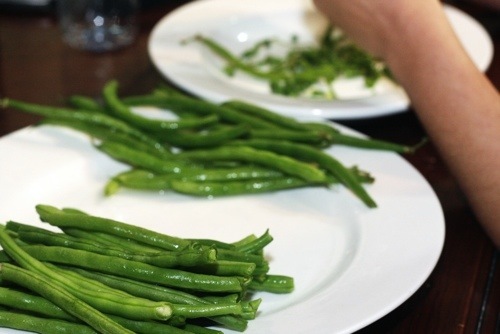 When you’ve got some fresh green beans and are looking for a way to spice them up, look no further than Levantine cuisine, which uses a touch of tomato and onion to transform the vegetable you thought you knew. I have to admit, as a sometime American southerner I was a little dubious of any green bean recipe that didn’t resemble my grandmother’s (plenty of ham hock and lots of butter, plus biscuits), but this one won me over (and admittedly my arteries are probably thanking me for it). First, saute the onions in the oil on medium low heat, until they just start to soften. Next, add your green beans, tossing to coat in oil. Cook covered on medium low heat. 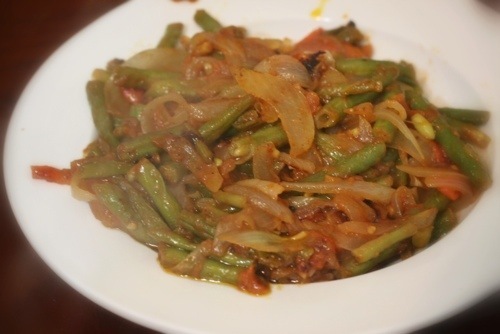 After the green beans are about halfway cooked (depending on how soft you like your green beans, this will probably take 10-20 minutes), add the tomato, Maggi cube, a touch of allspice, and as much cayenne pepper as you’d like. 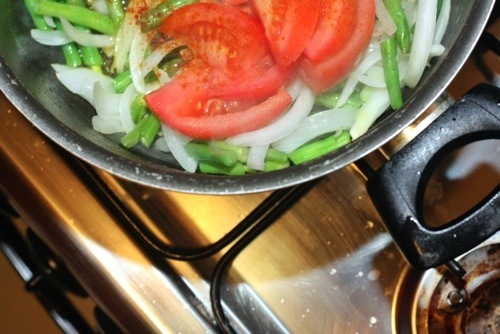 The juice from the tomatoes should provide plenty of liquid for everything to cook in, but if not, add a bit of water to the pot. Cook covered for an additional 10 minutes or so; the tomato should eventually break down and create a kind of sauce coating the beans and onions. Adjust spices to taste and serve! 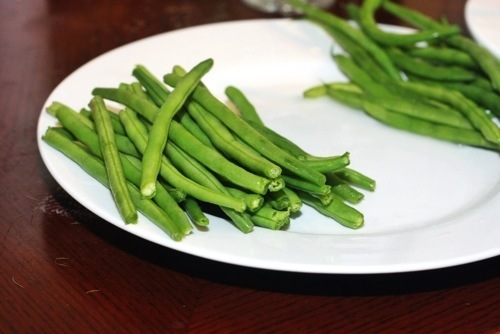 This works with bread or rice, as a side dish or a simple meal, and leftovers make a great cold salad as well.